Descanso, known for its unique “Plancha Dining” Mexican experience, now offers a weekday Happy Hour, Monday through Friday from 3 to 6 p.m. 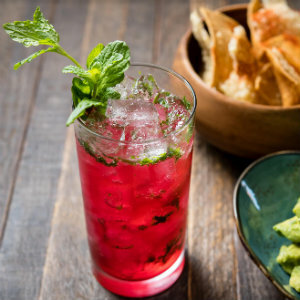 The Happy Hour menu focuses on beer, wine and craft cocktails, as well as street-inspired Classic Central Mexican dishes. Guests can opt for dishes like Elote Asado made with fresh grilled sweet white corn, or choose from six taco options, all served on Descanso’s signature two-tone Blue and White Masa Tortillas. Nachos – Fresh Tortilla Chips, Poblano Suiza, Tres Quesos, Refried Pinto Beans and Pico de Gallo. Add Chicken (2) or Steak (3). Steak $4, Carnitas $4, Al Pastor $3, Chile Relleno 3, Chicken $2. Happy Hour is offered Monday through Friday from 3 p.m. to 6 p.m. for dine-in only in the bar area, outdoor patio, and main dining room of the restaurant. For more information, please visit descansorestaurant.com. 1555 Adams Ave #103, Costa Mesa.